ABBAESQUE ARE on the go longer than the Swedish pop legends to whom they pay homage, but there is good reason for that. 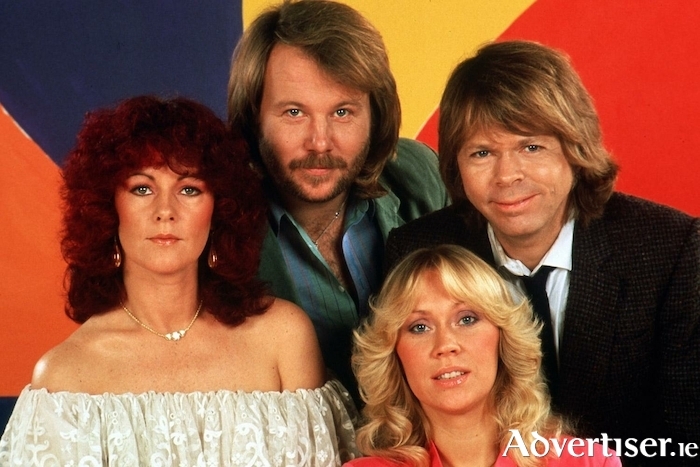 The world still loves ABBA, and ABBAesque are arguably the best ABBA tribute act. ABBAesque - going strong for more than 20 years - play the Róisín Dubh this Saturday [March 9] at 8pm, and audiences can expect to hear 'Mamma Mia', 'SOS', 'Waterloo', 'Dancing Queen', '(Gimmie Gimmie Gimmie ) A Man After Midnight', 'Thank You For The Music', and others from the Swedes' illustrious catalogue of hits. ABBAesque play more than 150 concerts each year. Their long career has seen them play to 11,000 people at the Point in Dublin (now the 3 Arena ) on New Year’s Eve in 1998; play a Saturday residency in the Olympia theatre; perform regularly at all of Ireland’s major festivals; appear on The Late Late Show in 2014 to pay homage to ABBA who were celebrating their 40th anniversary of winning the Eurovision song contest; and most recently the band were asked to join with the RTÉ Concert Orchestra to perform ABBA songs in the National Concert Hall.